Sometimes doing the right thing… means risking everything. Excited to receive his very first assignment, Alpha Squad recruit Adam King is ready to jump head-first into the action. With the small town of Sevenoaks experiencing violent attacks on the local population, it’s up to Alpha Squad to find the cause. But when suspicions fall on the local shifter refugee camp, and especially Felicity Weir who volunteers there, Adam is forced to reevaluate his priorities. With his inner bear insisting she is his mate and the squad’s reputation hinging on a successful first mission, Adam is torn. How can he do his job when he’s unable to endanger the woman who appears to be their prime suspect? Determined to help the displaced individuals streaming in from Europe build a new life for themselves, bear shifter Felicity Weir is forced to take matters into her own hands. Having looked after the shifter refugees camping near Sevenoaks, Felicity cannot accept that one of her kind would be capable of such violence. With the attacks and the mood in Sevenoaks growing more and more hostile, Felicity has no choice but to investigate the deaths herself… before tension toward these newcomers, and by proxy, towards her, ruins the only chance these people have at a fresh start. With the local police hot on their heels, Felicity and Adam join forces. But will they be able to prove her innocence before public opinion is irreparably poisoned against the shifters? Or will their chances for a happy future together be completely destroyed? 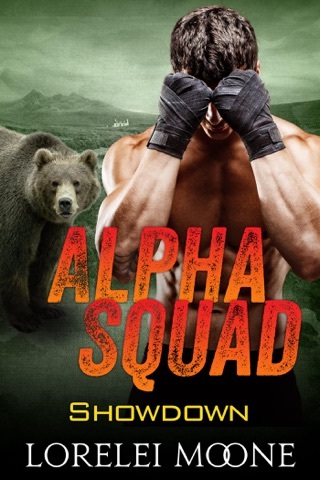 What an amazing continuation of the Alpha Squad series.This is a spin off from the ending of Lorelei's amazing Scottish Werebears series. Once you start reading you can't put them down! Please note this is Book 2 in the Alpha Squad series, however each of the Alpha Squad stories is its own standalone HEA love story. To start at the beginning, see Alpha Squad #1: Boot Camp. Alpha Squads first mission puts Eric at odds with not only his brother and Alpha Squad but the law, after finding out that his mate is the shifter that is being accused of attacking the local population. Adam knows she's innocent but how can be help prove it? Felicity a bear shifter herself only wants to help the new shifter refugees when they come into the town she grew up in. However after being fed anonymous information about the attacks, now she's the number one suspect. Can she prove herself innocent before public opinion ruins the shifters indefinitely? Will Felicity and Adam join forces to prove her innocence or will they go it alone? You'll have to read Alpha Squad #2: friends & Foes to find out. I cannot wait to see what happens next with this series. 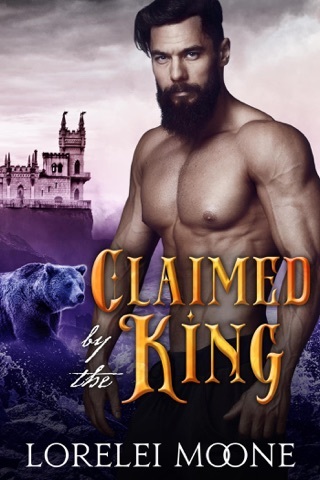 This is a standalone story that coincides with the Scottish Werebear series. Check out Scottish Werebear: An Unexpected Affair to find out where it all began. I received an ARC via IndieSage in exchange for an honest blog tour review. This story is intended for adult audiences only. Second book is even better than the first! Adam gets his own story - and his own mate - in this second installment of the Alpha Squad series. I absolutely loved the first book, but this one was even better. We have lots more action, a crime mystery to solve, and of course we have the love story as Adam and Felicity discover and explore their true mate relationship. I completely melted when reading the ending - it was so sweet, so lovingly complete. This book also gives us more details about the changes in the shifter community, and establishes a particularly evil foe who, I presume, will pop up again in future books of the series. Ms. Moone deftly adds elements to her shifter world that are unique and add depth and emotional sincerity to the story. I am officially addicted to her shifter series! I voluntarily reviewed an ARC of this book. This is the second book in this series. We met Adam back in book one when he and his brother were joining Alpha Squad. Alpha Squad is sent out on their first mission. However, someone is killing, brutally murdering not only animals but humans? The first place the authorities are looking to is the shifter refugee camp in Sevenoaks. Felicity is a strong female aka bear shifter. She has been helping the shifters at the camp with transitioning. Somehow the authorities are now looking at her as being their number one suspect. To top that off her bear is in love with another bear. I enjoyed this book. It was an intense story. I loved Adam and Felicity. Can not wait to see who is next.